Barcode Reader is the most compact and cost effective barcode reader for Vehicle Access Control and Automatic Vehicle Identification (AVI) system in the market. The ADV-4000 Barcode Reader is the most compact and cost effective barcode reader for Vehicle Access Control and Automatic Vehicle Identification (AVI) system in the market. It uses state-of-the-art laser technology that offers the best performance and reliability. Using a moving beam laser diode output, the ADV-4000 Barcode Reader is designed to read barcode decals attached to the side window of vehicles. It is cost effective, and it offers the best performance and reliability. 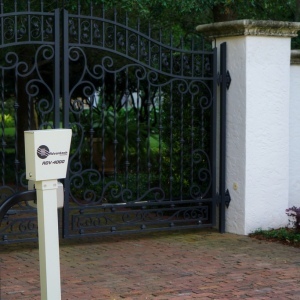 The ADV-4000 Vehicle Identification and Access Control System is manufactured for use as an access control system ideal for parking lots, office parks, hospitals, schools, and gated communities such as neighborhoods and apartment complexes – anywhere there is a need to control vehicle access. The system is typically installed at the entrance of restricted areas and prevents unauthorized access using the most advanced identification technology. The ADV-4000 can be connected directly to a physical control device such as a rail, swing arm or gate. The ADV-4000 can also be mounted and used with a gate controller, keypad or phone access system. Several options are available. 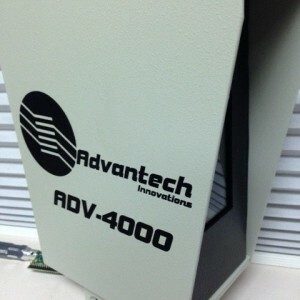 The ADV-4000 dual enclosure concept keeps moisture and contamination from infiltrating the system’s critical components. The dual enclosure system is superior to a single compartment design and features an inner aluminum casing which secures connections to external wiring and system interface and an outer aluminum enclosure which shelters and protects from outside forces. By keeping dust and moisture away from critical components that would otherwise deteriorate over time, the DeltrexOEM design assures a longer life and superior service. 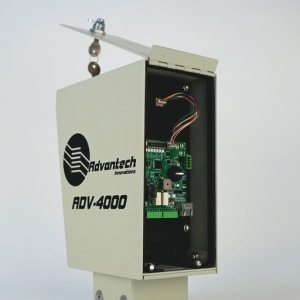 For operational convenience, the ADV-4000 operates from a standard 24VDC power supply.